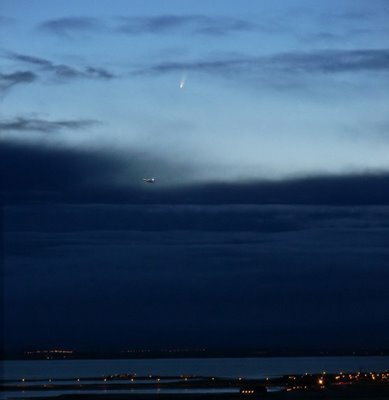 Theres a new comet in the sky and its the brightest in decades! Discovered by an Australian, Comet McNaught should be visible to Northern Hemisphere observers now. Over here we should get a good view after the 15th. I'm getting my binoculars and telescope ready, this one promises to be even more exciting then Halley. See reports here , here and here.